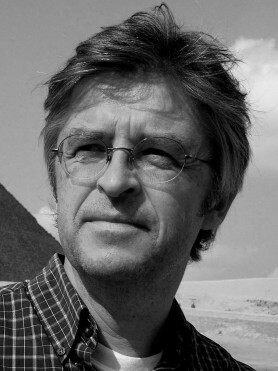 Charles Jennings is a writer and journalist whose books range from the bestselling travelogue Up North (Little, Brown, 1994), to the state-of-the-union satire Faintheart (Abacus, 2000), to the critically acclaimed Them and Us (History Press, 2007) — a study of the American invasion of Edwardian high society. He has written for the Daily Telegraph, Observer, Financial Times, Independent and GQ magazine; and has been a columnist for the Guardian and Times newspapers. In between these assignments, he has written drama for BBC Radio 4, presented The Property Show for Thames Televison and co-founded the wine blog, Sediment. What unites these activities? Broadly speaking, an interest in the structures of society: contemporary social values versus historical attitudes; or, more tangibly, the environments we inhabit — much of his writing for the Telegraph and Guardian has been about architecture and the urban landscape. His next project — an exploration of Gothic England (and everything that implies) — will try to combine his interests in literature, social forces and real (or imagined) buildings. Married, with two sons, he has seen the university system from the inside — when taking his own degree — and at one remove, watching his own children make sense of a modern degree course: both of which have impressed on him the need, as the Royal Literary Fund will attest, for confidence and clarity in writing at any and every level. And, when not preoccupied with any of the above, what does he do to unwind? He plays rhythm’n’blues on the guitar, badly. In Location And The Writer, we visit the mysterious Forest of Dean, the ambivalent pleasures of Greenwich, and a museum near the beautiful and lonely Ridgeway. Unused research: a concatenation of vice, gambling, Mormonism, hideous landscapes, a dead sea, padlocked beer — and the atomic bomb. If I there is a guiding principle behind my reading — let's call it a 'tendency' — it's the idea of The Canon. I've been working on The Canon since I was at school. Charles Jennings describes how he gets down to writing. Am I actually going to get out of bed and start work? Of course not, and yet I can't stop thinking about it because that's what creativity feels like. How Charles Jennings finds solace in his suburban surroundings. He is too clever, really, to be an effective novelist. Essays are what he is good at; you can't be too clever for them. Charles Jennings descends into his own, private hell of self-reflexive novelising.